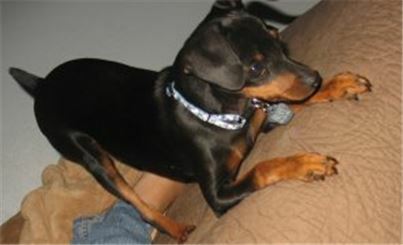 Rocco was diagnosed last year in August with a collapsed trachea. 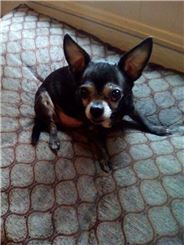 He was 13, and I had recently lost his brother in July from heart issues, and I did not want to put Rocco on steroids and other medications my vet wanted to try, so when I got home, I went online for alternative treatment for dogs with a collapsed Trachea and found Pawhealer. I contacted them and spoke to a man his name is Mark. He was very understanding about my concerns and explained everything to me about his products. I decided to give it a go for Rocco. It's been five months since Rocco was diagnosed and he has not been back to the vet for his coughing just a checkup. The vet seemed hesitant about the products, but Rocco's checkup went great! His heart &amp; lungs sounded great, and that's all that mattered to me. She said when we were finished to continue what I was doing cause it was helping! I'm very thankful for finding Pawhealer and for Mark making his products available. Rocco turned 14 in December, and I'm very thankful for any extra time I have with him! He is my little buddy and loves him dearly. These products work, and I will keep giving them to Rocco if it keeps him healthy, happy &amp; playful!!! 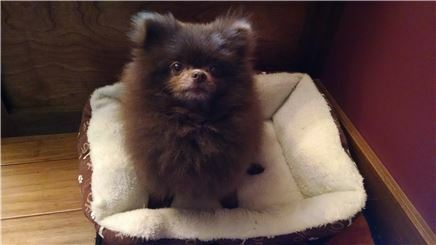 Rescued puppy mill Pomeranian w multiple health issues. Appears to have symptoms of collapsing trachea, did not want to do conventional recommendations of...xrays, ultrasounds, steroids, as have always had best success with holistic &amp; Chinese therapies. Within days of using these supplements, symptoms were improving. Two months later, rarely coughs, much improved breathing &amp; restlessness. A real blessing, thank you! My dog takes this for a partially collapsing trachea, and she is doing well!!! I mix the powder with the hound honey, and she loves the flavor...she seems to breathe better and cough less, I am continuing to buy!!! 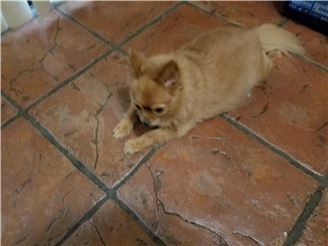 My Sophi has a collapsed trachea. She was taking medication for the vet but all it was doing was making her drugged up and wasn't helping her cough. When I got the products from PawHealer after the very first dose there was a difference. It has been 1 month since I have been using the products and she only coughs once in awhile and very little. Her eyes have brightened up and she looks healthy. 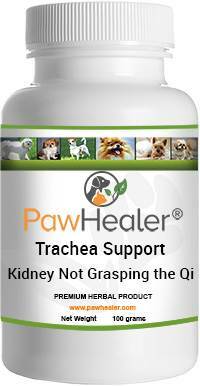 Years of working with Chinese herbal formulas for symptom relief of trachea problems is paying dividends to our pet parents. 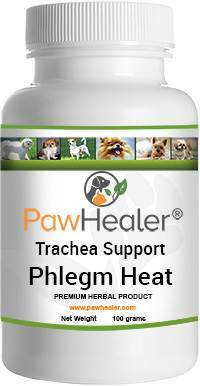 PawHealer know offers about 12 different formulas based on Traditional Chinese Herbal Patterns to help manage breathing. Ginger Old Girl Breathing Better! My Ginger was diagnosed with Collapse Trachea well over a year ago. Things were not looking good. 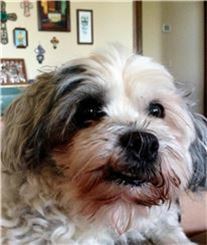 Even at fourteen years old she is still able to enjoy her time with her two brothers Walo and Pepper and continues to be Queen of the house. Thank you Paw Healers! 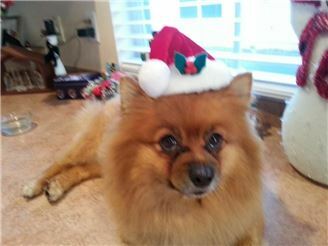 Thanks to Arlene Rosado for sharing Ginger's story. Herbs and formulas do not heal a trachea, what they do is manage the symptoms associated with those problems. 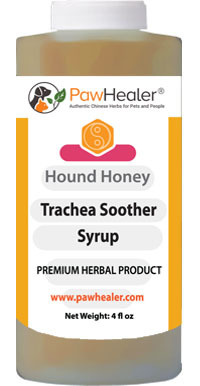 In the case of Lung Qi Support and Hound Honey Syrup, it helps to clear "heat" and normalize secretions. Chinese herbs are different in their functions. They work to support natural bodily processes. There is no magic bullet, it takes lots of work and care for dogs that chronically cough.